Technology just keeps getting better and better. Our PCs are more powerful and awesome looking than ever, and digital storefronts give us a library of games to purchase and download at a moment's notice. But what about the times we want a nice hit of nostalgia? The times when we want to fire up a classic game from our youth, one of the games that shaped us into gamers in the first place? Too often, these classic games are unavailable for us to play. They're out of print, and if they're not available on Steam or GOG, the only option is digging up a physical boxed copy (which could cost hundreds) and tossing the CD-ROM (or even floppy disk!) in a drive your PC may not even have. Out of print games can be hard to find. They can be expensive. When HBO made it damn-near impossible to watch Game of Thrones without signing up for premium cable, millions of people turned to piracy. It's the same with out-of-print games. People are going to play them, no matter what—shouldn't there be an easy, legal way to make that happen? Some publishers and developers appreciate these classic games as much as we do, and are making efforts to bring them to digital storefronts like Steam and GOG. But for every triumphant Grim Fandango Remastered there are a dozen other games have remained lost in limbo, unable to see a digital release for one reason or another. We looked into why. The saga of No One Lives Forever's resurrection has been a rollercoaster of ups and downs. Our hopes started high when Night Dive Studios, the team responsible for bringing System Shock 2 and the Wizardry series to GOG and Steam, filed trademark applications for No One Lives Forever, The Operative, A Spy In H.A.R.M. 'S Way, and Contract J.A.C.K. last May. The problem was, it was just the trademark—no one was quite sure who held the game's copyright. No One Lives Forever and its sequel were developed by Monolith, most recently the developers behind Middle-earth: Shadow of Mordor. Monolith is now owned by Warner Bros., so there was a possibility Warner had the copyright. But the first NOLF was published by Fox Interactive, so a share of the rights could have also gone to either 20th Century Fox, or Activision, having merged in 2008 with Vivendi (which acquired Fox Interactive in 2003). As reported by Kotaku, that copyright ambiguity ended up stonewalling the resurrection attempt. "We knew from the Monolith connection that Warner Bros had some ownership, not sure exactly what, but at the very least, they were involved with the development of the code," Night Dive's Larry Kuperman told Kotaku. "Remember, the game ran on the LithTech engine. So we started talking with Warner Bros. and Warner Bros. said, 'Well, it wouldn't be possible to do a deal with you because Activision has some ownership of this and we'd have to have them involved in this process.' So we went back to Activision and, [after] numerous correspondence going back and forth, they replied that they thought they might have some rights, but that any records predated digital storage. So we're talking about a contract in a box someplace." Fox was in a similar situation to Activision, neither quite sure if they had any claim to the series and thus unable to give Night Dive a definitive answer. But then the hammer fell. Night Dive received a "scary letter" from a Warner Bros. attorney saying "they're aware of our filing for trademark, that they had contested that, and that if we went forward, specifically with a new version of No One Lives Forever, without doing a new deal with them, we would be infringing their rights," Kuperman told Kotaku. Of course, Night Dive had no intention of infringing on Warner's copyright, and was actually hoping to work out a licensing deal. But in early February, Night Dive got a definitive "No" from Warner Bros., saying the company was not looking to either publish the game themselves or partner with anyone at the time. "GDC was exceptional! Not only that but there have been developments in the NOLF story...my life has literally turned into a spy thriller"
When reached for comment, Night Dive Studios' Stephen Kick said they were unable to discuss anything related to No One Lives Forever at the moment, but would keep us in the loop in the event of any developments. It's very little to go on, unfortunately, but at least we can hold out hope that the project isn't totally dead in the water. When it comes to PC classics, lists are often dominated by the beloved adventure games built by Lucasfilm Games, LucasArts, and Tim Schafer. But when Disney purchased Lucasfilm in 2012 and subsequently shuddered the game-making arm of the studio, the fate of those classic games—and any hope of their seeing a digital re-release—was left uncertain. The rights to those games, says Greg Rice, a producer at Schafer's current studio Double Fine, shifted to Disney with the Lucasfilm acquisition. However, we've seen a fair bit of movement in getting those games back to life in the past year. In addition to many Star Wars games and some of the Monkey Island series popping up on GOG, a collaboration between Disney Interactive and Double Fine recently saw the remaster and re-release of Grim Fandango, one of the most beloved of the bunch. With Manny Calavera finally making a triumphant return, it made us wonder about other LucasArts games, namely the dystopian biker adventure Full Throttle. When asked if he had any plans for bringing Full Throttle back as well, Tim Schafer responded in about as Tim Schafer a way as possible: "Maybe! As long as you buy five copies of Grim!" "Longtime fans and new players keep telling us that they want to play classic Disney and Lucasfilm games. Even though technology and gaming platforms continue to evolve, the characters and stories of these classic titles has endured. From our collaboration with Double Fine to launch Grim Fandango Remastered to the lineup of games like TRON 2.0, Toy Story 3, Castle of Illusion Starring Mickey Mouse, and Star Wars: X-Wing series that we offer through digital store fronts, our portfolio reflects continued interest in classic titles across Disney brands. As long as there are passionate gamers looking to play our games, we’ll continue to look for new partnerships and distribution platforms that are good for our business." In other words, so long as there's interest in classic games, Disney isn't going to ignore its extensive back-catalog of fantastic games. When Disney shut down LucasArts, all hope of seeing any of the company's classic franchises revived digitally seemed slim to none. But thanks to a collaboration between Good Old Games and Disney Interactive, many Lucasfilm games have finally made their digital debut. Among them, one of the most celebrated is the Star Wars X-Wing series of space combat games, including Star Wars: X-Wing, TIE Fighter, X-Wing Alliance, and X-Wing vs TIE Fighter. But with this victory came a disturbance in the force. The versions of X-Wing and TIE Fighter that launched on GOG did not include the collector's edition CD-ROM versions of those games. The CD-ROM editions run at a higher resolution than the original DOS floppy releases and retain their iMuse soundtracks. We don't know why these collectors edition versions of X-Wing and TIE Fighter have been left out of the games' digital release. GOG failed to return our request for comment, and a representative from Disney Interactive declined to comment specifically on the Star Wars games issue. Unfortunately, that leaves us little to go on. It seems like Disney is satisfied with the status of the X-Wing games' release—we doubt they'll be revisiting the CD-ROM issue any time soon. Like Full Throttle, the beloved Monkey Island series' fate was left unsure when Disney shuttered LucasArts—that is, the games in the series yet to be digitally released. The first two games in the series, The Secret of Monkey Island and Monkey Island 2: LeChuck's Revenge, received Special Edition remakes in 2009 and 2010 by LucasArts before the Disney acquisition. But the next two games, Curse of Monkey Island and Escape from Monkey Island, never received such treatment. "As long as there are passionate gamers looking to play our games, we’ll continue to look for new partnerships and distribution platforms that are good for our business." Like Full Throttle, this answer is better than nothing. Disney is aware of the power of its back catalog, and so long as the games sell, there's no reason we won't see the company continue to dig into it. Say what you will about Peter Molyneux, the Black and White games were fun. Maybe the sequel didn't quite deliver on all the promises Molyneux made about it at the time, but in retrospect, you know exactly what you're getting into. So why can't we play it on our new hardware? Microsoft is at least somewhat interested in bringing classic Lionhead games back, inasmuch as the company released a Fable Trilogy bundle earlier this year. So what about Black and White? According to a Microsoft representative, the Black and White IP didn't come over with the Lionhead acquisition, and still lies with EA, who originally published the game. Unfortunately, that's where the trail goes cold, as EA did not respond to our request for comment on this story. Black and White was a popular game, though, so it's entirely possible that the gears are turning within EA to make it available again. Especially considering the sorry state of Molyneux's latest god-game, Godus, we personally think a Black and White revival would be an opportune move. A spinoff of the Police Quest series, SWAT 4 was developed by Irrational Games and published by Vivendi Universal and Sierra Entertainment. "The IP holder for SWAT4 was Sierra who was part of Vivendi at the time," SWAT 4 designer Paul Hellquist told PC Gamer. "Vivendi then sold off all of their interactive stuff and Sierra disappeared. I’m not sure where the IP ownership ended up. Activision has started up a Sierra label again, but I don’t know if they just got the rights to use the name or if they also got the IPs." When reached for comment, an Activision representative said the company's legal department was unable to devote resources into seeing if the company had a claim over the SWAT 4 IP. Given that Activision's legal team couldn't even be bothered to look into the issue, it doesn't seem like a SWAT 4 resurrection is very high on the company's list of priorities. Major bummer. System Shock was developed by the now-defunct Looking Glass Studios—known for spawning the Thief series as well as, spiritually, Deus Ex, BioShock, and many others—and was published and distributed by Origin Systems and Electronic Arts. 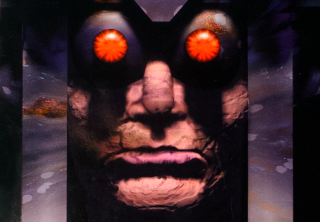 When Looking Glass folded, the rights to the System Shock went up in air, caught between an insurance company that acquired Looking Glass's assets, and Electronic Arts. But while while System Shock 2 made its digital debut in 2013 thanks to Night Dive Studios tracking down those rights, the first game in the series has not received the same treatment. When reached for comment, System Shock producer Warren Spector said that EA owns the rights to System Shock, as far as he knows. But that's where his knowledge of the situation ends, as EA hasn't kept him in the loop of any plans they may or may not have for the property. EA did not respond to our request for comment. So what are the chances we'll see System Shock on GOG or Steam? EA made a deal with GOG to bring a large swath of its back catalog to the service in 2011, including the Looking Glass games Ultima Underworld 1 and 2. But the deal's announcement made particular note that it did not include System Shock, so it's hard to say if we'll ever see the classic sci-fi shooter revived. Digging into dead or forgotten IPs is tough work. These games came from an era when big-name publishing was the only model for success. Even though many of the games on this list were made by small, dedicated studios, they still relied on companies like EA to get to market. But as studios were swallowed or shut down, the rights of their beloved games often got lost in the shuffle. It's unfortunate that so many of them are still lost today simply due to the apathy of the rights-holder. The good news is that it's not all apathy. Many companies don't even realize they have a claim to some forgotten franchise, or that people would even be interested in those games' revival. Sometimes all it takes is the right person at the right time, maybe speaking up in a meeting, or asking about a licensing deal. Many of the developers I spoke to were thrilled to hear that people were still interested in playing their games. Keep asking, and maybe we'll eventually get what we want. Correction: Disney originally attributed its comment on Full Throttle to Todd Dubester, which was incorrect—the current version of this article contains the corrected attribution.